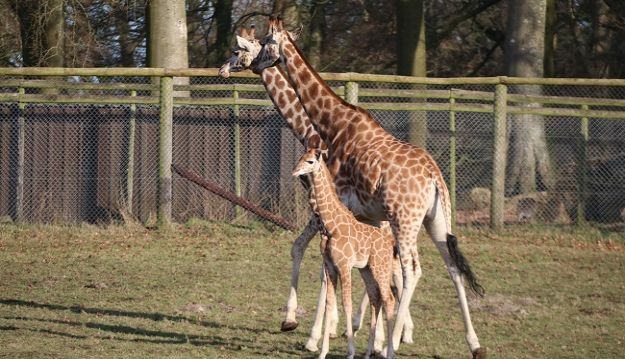 A baby giraffe which was born over Christmas has ventured outside for the first time at Longleat. The male Rothschild’s giraffe, who has been named Evan in honour of a long-time keeper, was delivered inside the centrally-heated giraffery at the Wiltshire safari park in December. 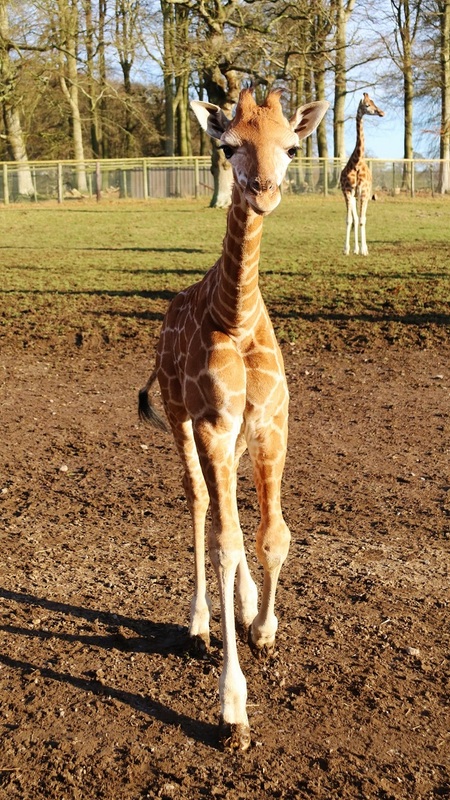 Since then the youngster – believed to be the 122nd baby giraffe born at Longleat – has been sticking close to mum Gertie. Rothschild’s are considered to be among the most endangered giraffe subspecies with only an estimated 1,500 remaining in the wild. 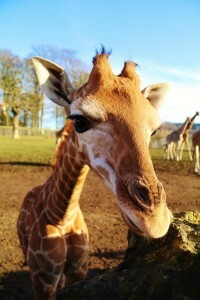 The Wiltshire safari park has one of the most successful captive breeding programmes for this type of giraffe in Europe. “Gertie is a very attentive parent and an experienced mum. 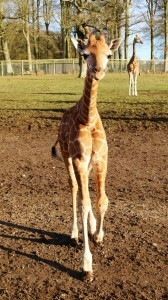 This is her third baby and she is taking extremely good care of him,” said Longleat keeper Dan Gray. “At this time of year we tend to keep the calves inside a little longer, particularly if the weather is poor, as it gives them more time to grow stronger and master their coordination. “As the weather improves we start to let them out more and more often into the smaller paddock which adjoins the giraffery before they are eventually allowed into the main East African Reserve, where they will get to meet the public.“Once Evan reaches maturity the likelihood is he will leave Longleat to set up a new breeding programme elsewhere,” he added. Giraffes are the tallest animals in the world and, after 15 month pregnancies Gertie gave birth standing up, leaving the baby to negotiate a tricky six-foot drop to the ground. Far from harming the calf however, this undignified entrance into the world actually helps stimulate the newborn baby to start breathing on its own. Fully grown male giraffes can grow to heights in excess of five and a half metres. They can reach speeds of up to 56 kilometres per hour and, in captivity, can live to be 25 years old.